Solid rancher house on a big lot 64.33x136.35 Ft ( 8755 Sq Ft ) with south facing back yard. Well kept with hardwood floor, large Family rm, 2- Gas Fire/Place, built-in alarm system. Solid roof with Aluminum shingles. Good investment to build a dream home in future, on this large square lot. Seller will rent back the property or longer completion date. 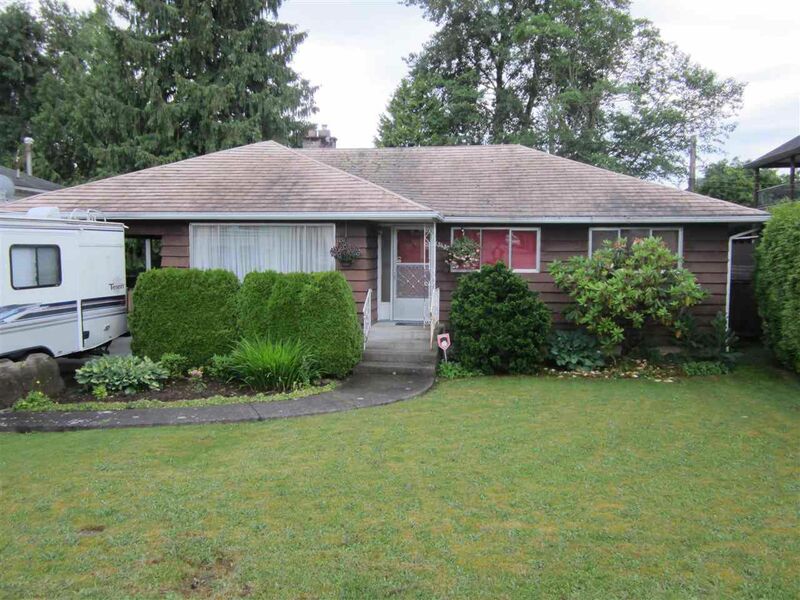 Very convenient location, close to both level of Schools, Shopping, Hospital and Sky Train. Easy to show !